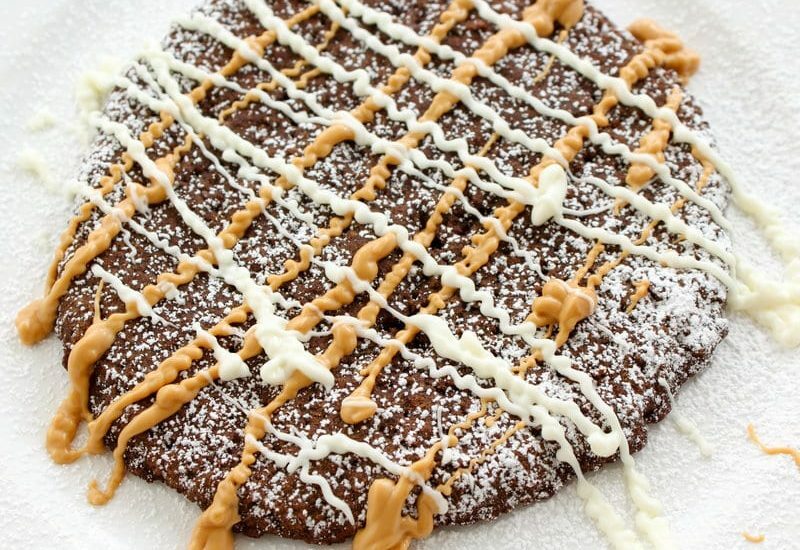 Ever have a craving for a giant cookie that you can have all to yourself and don’t have to share with others? But, also don’t want to make a whole batch of cookies just so you can have one? Well, me too. 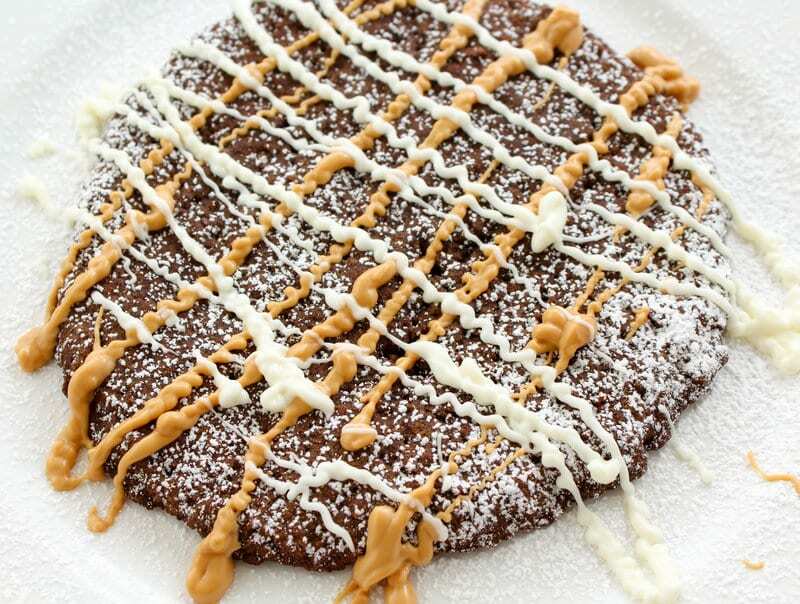 Which is why the recipe for this one, GIANT, hog all for yourself, no sharing, healthy molasses cookie was born! And, let’s be real, who wants to spend 20-30 minutes tediously whisking and mixing ingredients when that cookie craving hits? Not to worry, this cookie literally takes a handful of minutes to mix together. And, not much longer to bake. 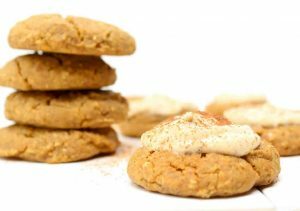 And then, when you do get to pull your cookie out of the oven, you’ve got a crispy edged, chewy centered, perfectly spiced cookie. But, can we talk about how healthy this gem is? It has zero oil and zero refined sugar. 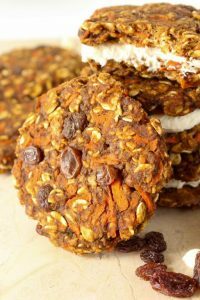 The flaxseed meal adds omega-3’s and the buckwheat flour adds fiber. 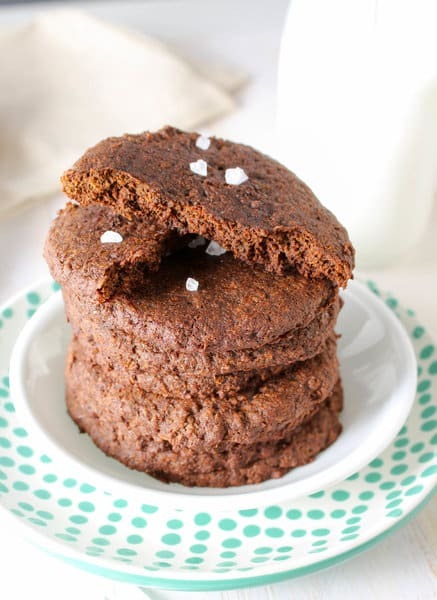 Even the molasses adds important minerals like iron, calcium, and magnesium. However, after you’ve experienced the pure joy of eating this giant cookie all by yourself (and for only about 175 calories, at that!) you might feel a little bad about not sharing. Don’t worry, I’ve got more good news! You can actually quadruple the recipe and make smaller, more shareable-sized cookies. Just mix everything the same as if you were making just one giant cookie. But, be sure to watch the baking time, since it will be a little less than 10 minutes, depending on the size of your cookies. I found for 2″ round cookies it took about 8-9 minutes. 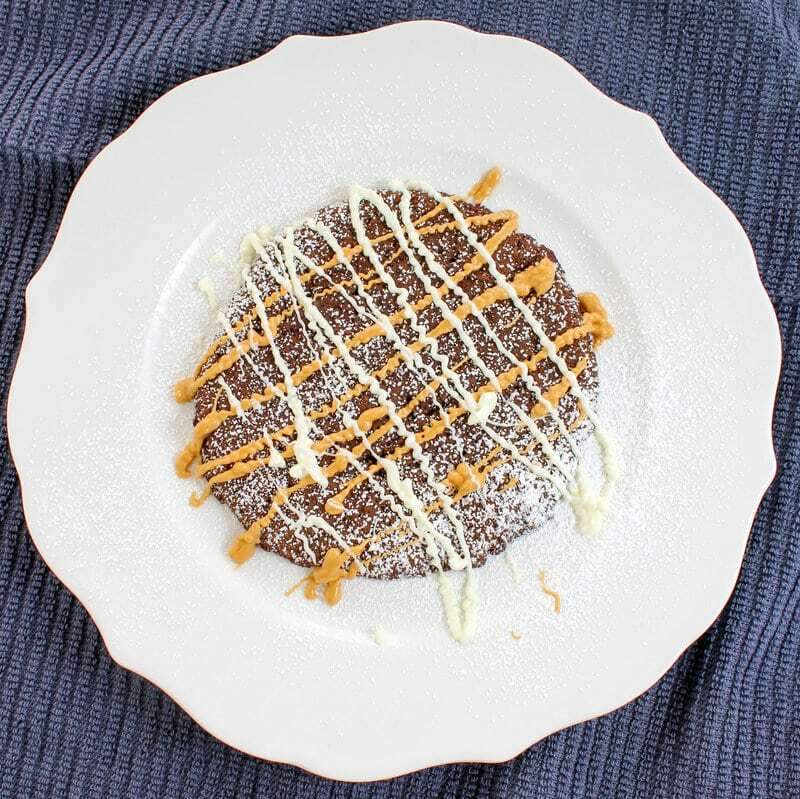 And, if you make this giant molasses cookie (or anything else from the blog), tag me @HealthyHacksRD – I love to see your creations! In a medium sized bowl, add the flaxseed and applesauce and stir together. Add the molasses and stir to incorporate. Add the molasses, flour, baking soda, cinnamon, and salt and stir until well combined. Turn out the dough onto the parchment lined baking sheet. Press out the dough with your fingers or a small square of parchment paper until it's about 1/4" thick. Bake for 9-10 minutes or until the edges darken slightly and the center is slightly springy to the touch. 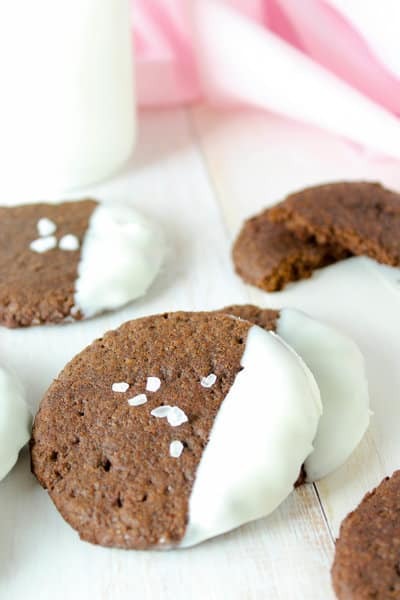 Allow the cookie to cool slightly, then enjoy that cookie all to yourself! Thanks, Cathleen! I'm glad you like it!